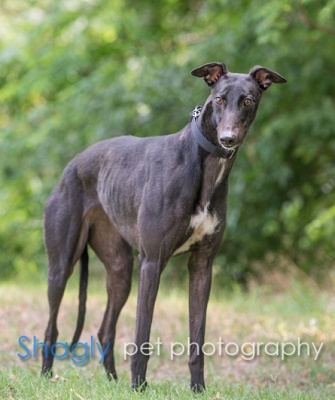 Couretta, aka KB's Couretta, is a 2 year old black female born May 10, 2014. Her sire is Pacific Mile and her dam is KB's Autumn Dove. 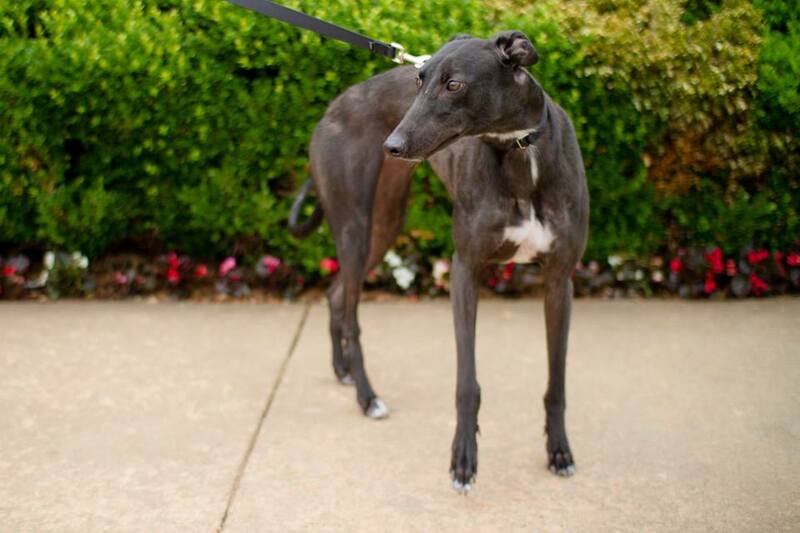 Couretta has no races on record, according to Greyhound-data.com. She came to GALT with the closing of the Tuscon track. Couretta has not yet been tested with cats or other small animals. Couretta is not considered cat tolerant at this time. Couretta seems to love her affection, but is still a little on the timid side. 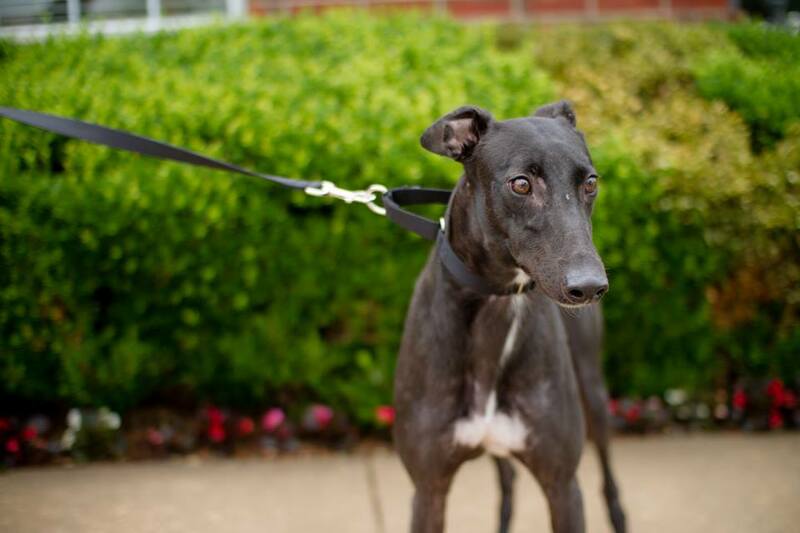 She works her way into the TLC crowd when the other greyhounds are gathered around for it. She's still slow to approach people on her own, but will stand and accept attention. She definitely has a playful side, and can be goofy - play-bowing and tossing toys. Benebones are her favorite chewing pastime. She loves chest rubs and belly pats, and flails around like a super-goof if you're playful with the affection. Couretta has never tried to get on furniture. As she's adjusted to home life, she has come to appreciates the dog beds, and sleeps in my bedroom at night. She used to bark and get excited about meals, but is used to the ritual now. I feed her in the crate, and she's so cute when she trots to her crate and eagerly awaits her food. I keep her crated when I leave the house, but she is free to roam when I'm home.